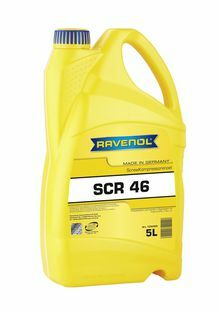 RAVENOL Screw Kompressorenöl SCR 46 is optimal alloyed mineral screw compressor oil, with a high performance level and a wide application area of the whole industry. It is characterised by good viscosity temperature behaviour, a high aging resistant and a solid corrosion protection. Efficient additives offer an excellent corrosion protection even under extreme loads. The behaviour of sealing materials is neutral. RAVENOL Screw Kompressorenöl SCR 46 is used in compressors.